2 and 3 December 2019 from 10.00 a. m. at 18.00 p. m.
Registration and withdrawal of accreditations is carried out at the entrance of RAI Amtrium from 09.00 am. It is recommended to pre-register through the following link, as capacity is limited. The quicker and easiest way to reach Amsterdam RAI from Amsterdam Airport Schiphol is by train. In the main hall of the airport you will find the timetable and ticket machines. Getting from Schipol to Amsterdam takes only 11 minutes and there are trains untill midnight every 12-15 minutes. Get off at the second stop (Amsterdam RAI). From the station follow the signs to the RAI and you will arrive in five minutes walk (300 metres). The RAI is situated close to the A-10 motorway. There are numerous car parks around the exhibition hall. Parking cards can be purchased from vending machines near the pedestrian entrances to the car parks. From Amsterdam Central Station (CS), you can take the Amstelveen express tram 51 (travelling time: 12 minutes, exit at the Amsterdam RAI station) or tram 4 (travelling time: 30 minutes, exit at the RAI Europaplein). 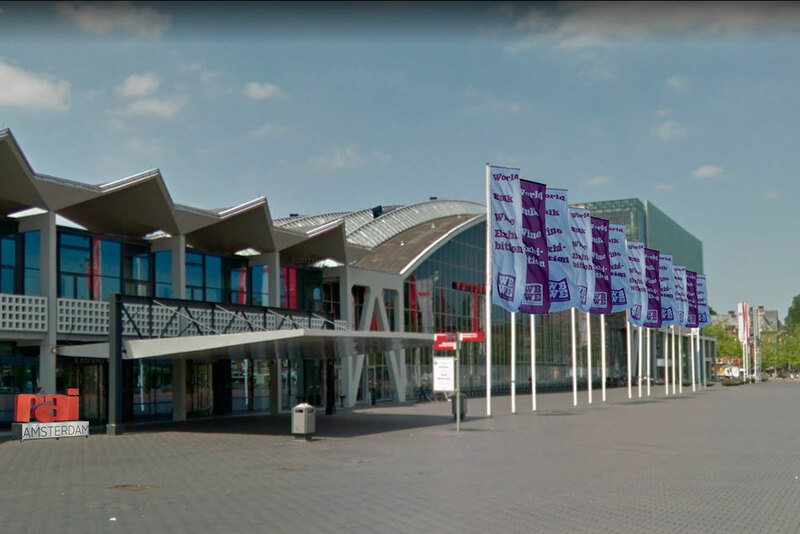 If you are travelling by train to the Amstel station, you can take the Amstelveen express tram 51 (travelling time: 5 minutes) or the bus (route 15, 69 or 169), which will bring you to the RAI within 10 minutes. In this case you should get off at RAI Europaplein. The sponsorship of the WBWE provides a unique occasion to enhance your visibility within the bulk wine industry. The WBWE offers a limited number of potential sponsorships for companies of importance in the bulk wine sector. If you are interested in learning about the different possibilities to participate as an WBWE’s sponsor, please do not hesitate to contact us. The organizing company of the World Bulk Wine Exhibition is the “World Bulk Wine Exhibition Ltd.”, which the majority shareholding is Comexposium, as well as the founding company of the event: Pomona Keepers Ltd. comprised of Enopasion and Globalcaja. The World Bulk Wine Exhibition was born from its partners’ common concern and interest in wine commercialization on a global scale, the vineyard’s maintenance in present territories, defense of rural development and environmental protection.